We utilise our vast experience and the high quality of our products to provide homeowners and commercial businesses from across Surrey with the finest in painting, decorating and property maintenance. As one of the South East’s leading decorating companies, we offer a wide range of services, varying from interior and exterior painting to plastering, wallpaper hanging, decorating and coving. Painting and decorating a room can be a great way of bringing it back to its original best and our specialist techniques are proven to enhance the property’s look and feel as well as its value. While we originally started out as a painting and decorating company, customer demand has seen us expand our services to incorporate property maintenance and refurbishment. Using the skills and expertise we have picked up over the years, we also provide bathroom refurbishments, plumbing and electrical installations, with our plumbers and electricians Gas Safe and Part P certified respectively. Alongside our painting, decorating and property maintenance services, we also carry out comprehensive insurance work. 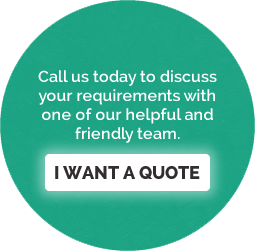 We deal directly with the insurance companies so if you have suffered criminal, water, fire or smoke damage, speak to the experts here at Daniel Barrett Decorating Services. Based in Sevenoaks, we work throughout Kent, London, Surrey and the South East, so if you require high quality painting, decorating or property maintenance services, contact us today.